iPad owners who keep to themselves aren’t maximizing the experience. With a relatively large 9.7″ screen and support for multi-touch, Apple’s tablet PC is also great for entertaining several people. Here we feature 10 different iOS apps that will turn your iPad (or iPad 2) into the life of the party, courtesy of some fun two- or four-player multiplayer gameplay. 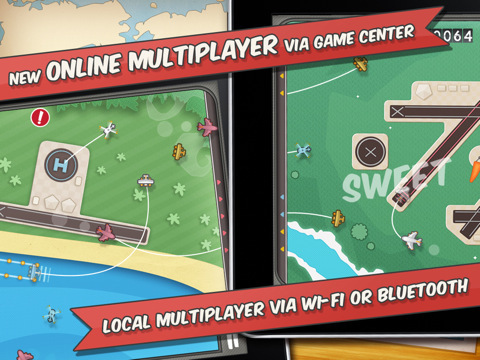 All the following apps support multiple players on the same device, so no online connection is necessary. You’ll only need one iPad to have fun with friends of family members, meaning even those who don’t have an iOS device (the iPhone, iPod touch, or the iPad) can still participate. The star attraction of this modern version of the classic real-estate boardgame? Tabletop mode, where the game orients itself to the active player. 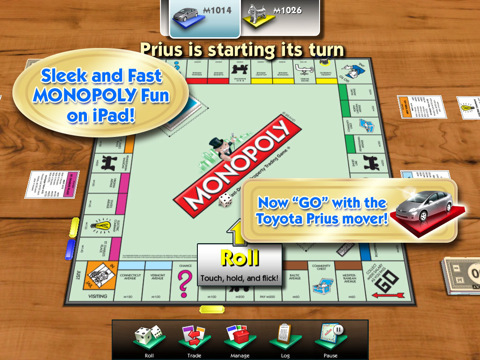 It’s this feature alone—not to mention the faithful recreation of the Monopoly experience—that makes this game worth playing with up to three human or computer-controlled opponents. 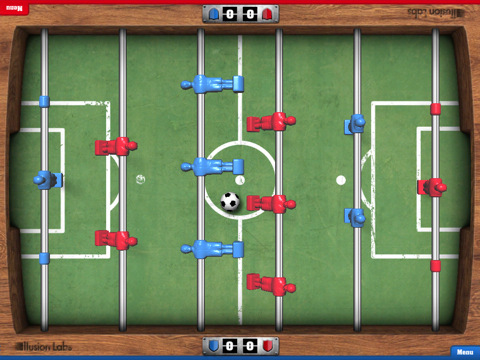 Few tabletop games cause players to sweat like Foosball. Here’s a simplified version of that miniature Association Football game, with three rows of “foosmen” instead of the usual four. Drag a row of foosmen to position them across the board, and flick left or right to spin the pieces. Audience sound effects and a scoreboard keep this foosball experience as “authentic” as possible. 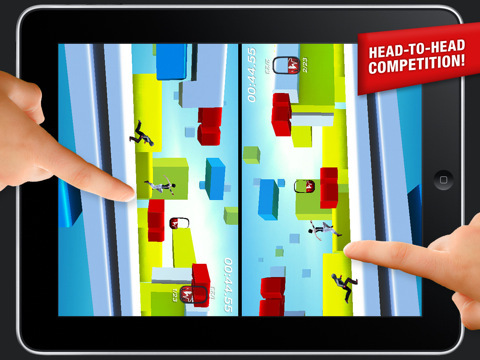 Unlike the original Mirror’s Edge’s first-person viewpoint , the iPad version is a side-scrolling platformer that’s better suited to the tablet’s simple touch controls. 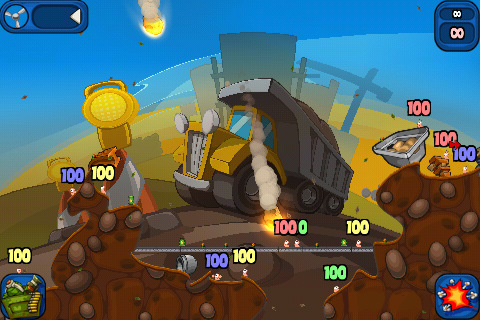 Players can work their way through a series of levels, avoiding obstacles and baddies. But the real highlight of this game is the split-screen view, which allows two players to race through a level at the same time. Chess games are a dime a dozen, but what other iOS app complements the authentic Staunton experience with a database of reviewable professional-level games? 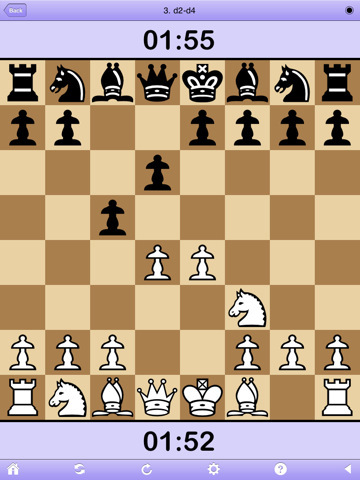 Chess-wise PRO supports same-device multiplayer with time control, but users can also play competitively online through the Free Internet Chess Server. If you’re familiar with Risk, then you’ll be comfortable with this game. 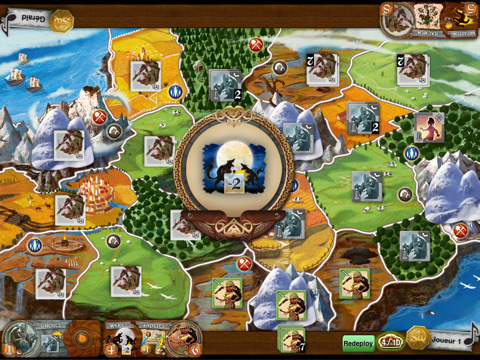 For everyone else, Small World is a digitized strategy board game designed for two players. Each section represents a region in a, well, small world. Players have to maneuver army units, apply power-ups, or summon reinforcements at the right time, all in the name of achieving conquest over all territories. This simplified version of a real-life air traffic control scenario is no less challenging. Players need to direct airplanes or helicopters to the correct runway or helipad, by tracing a path with their fingers. The trick is of course preventing mid-air collisions. 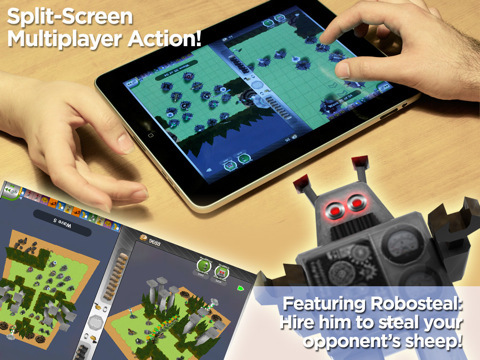 Multiplayer action is possible through the competitive two-player split-screen mode, or the single player game that has no problems with several players tracing on the iPad’s screen at the same time. This is yet another game with a two-player split-screen mode. In TowerMadness, solitary gamers have to protect sheep from neverending waves of aliens intent on kidnapping them. Building defensive towers to accomplish this sounds easy enough, but every wave is more powerful than the last. For multiplayer, players attempt the same—while sending in their own aliens to make off with their opponent’s sheep! 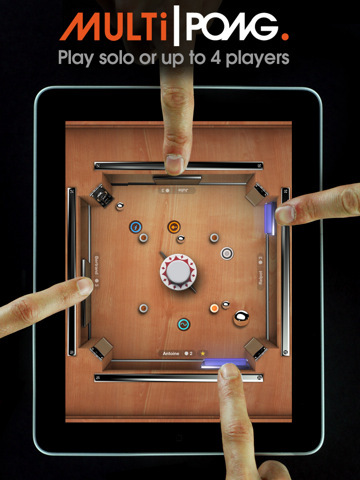 Classic Pong is a two-player game, but Multipong for the iPad supports a max of four. The objective is the same: block the ball with the paddle and prevent it from falling through your side. Turn that mechanic into a competition between four different people, and you’ve got an interesting variant of the video game pioneer. All players have to do is drag a finger across their side, like a virtual goalie keeping the ball out of the net. Will players form teams of two? Will they gang up on one of their own? Here’s your chance to find out. It’s the game you played as a kid, only this one doesn’t require carrying around a bag of marbles (insert “I’ve lost my marbles” joke here). Marble Mixer for iPad also features three different playing fields, each with its own unique set of rules and scoring. The only common factor? Whoever positions their marbles with precision, while knocking away their opponents’, will win the day. Up to four players can aim their marbles through this game’s simple “flick-and-shoot” controls. 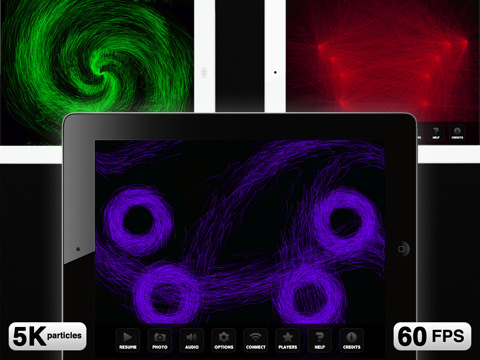 The classic artillery game also has a version for the iPad. 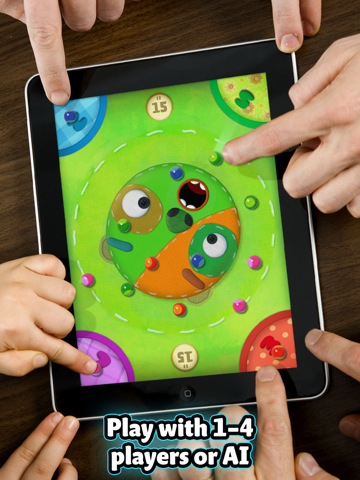 Up to two players take turns passing the iPad between each other, controlling their minions of bloodthirsty worms. At their disposal (depending on the game settings) are a variety of deadly weapons, from the pinpoint sniper rifle to the devastating rocket launcher. Gravitarium2 isn’t actually a game. But it’s collection of relaxing music will sooth any group of tortured souls. Two people can also play around with Gravitarium2’s visuals, which change depending on how many fingers—from 1 to 20—are touching the screen. All prices are current as of this writing (August 8, 2011). Some apps too expensive for your budget? Download AppShopper, a free utility that tracks app prices in the iTunes Store. Flight Control = best $5 spent. Ever! And now it’s only $0.99! We just released a new single device multiplayer game called Castle Raid! In this game you fight enemies or friends in intense battles, set in the medieval ages of knights, archers and magic!